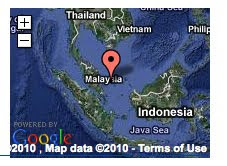 05.09.2010: 0305 LT: Posn: 03:14.2N – 105:17.2E: Off Mangkai Island: South China Sea. Four pirates armed with long knives boarded a chemical tanker underway. They took hostage duty bridge crew and duty anti piracy watch crew and proceeded to masters cabin. Pirates stole ships cash and escaped. Ship sent a distress message. Indonesia : Anambas / Natuna / Mangkai islands area. Attacks are increasing. Pirates normally armed with guns / knives and / or machetes. Generally be vigilant in other areas. Many attacks may have gone unreported.